Chelsea suffered one of their worst defeats in history when they lost 4-0 to Bournemouth on Wednesday. The Blues had not lost a league game by four goals since September 1996. Chelsea have no major injury concerns heading into the game, but it was suggested that Higuain is struggling in terms of fitness. Nonetheless, Higuain is expected to start. Huddersfield midfielder Aaron Mooy came off the bench on Tuesday after nearly two months out with a knee injury. He should be available, while midfielder Philip Billing is pushing for a return. Marcos Alonso is an option at left-back if Sarri rotates at left-back given the quick turnaround between matches. Andreas Christensen could also play at centre-back for one of Antonio Rudiger and David Luiz. Aaron Mooy came off the bench to feature as Huddersfield manager in the 1-0 defeat to Everton on Tuesday. He will be able to start if he is fit enough. A knee injury kept Philip Billing out for the second game in a row and Siewert will be hoping that he will be available for the trip to Stamford Bridge. Huddersfield have won none of their 19 Premier League games against sides who are not newly-promoted to the sides above the dotted line, starting with games against Chelsea and Arsenal. Huddersfield have signed striker Karlan Grant from League One side Charlton Athletic on the penultimate day of the window and he could make his debut here. Chelsea are undefeated in their last 5 matches against Huddersfield in all competitions. 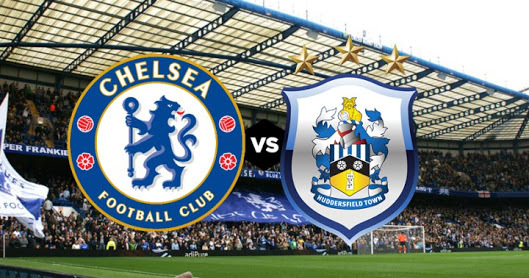 Huddersfield have lost 10 of their last 11 matches in the Premier League, while Chelsea are undefeated in 14 of their last 15 home matches in the Premier League. Chelsea suffered a 3-0 defeat to Bournemouth in midweek allowing Manchester united and Chelsea to gain ground on them in fourth. Sarri will be looking for a response from his players, and we think they should have enough to overcome the bottom of the league Huddersfield even after the trashing they took.